We just learned about the Quebec. Another of the provinces in Canada is British Columbia. This province is on the west coast of Canada, right above the state of Seattle. Sometimes it is just called BC. The province flag has a higher part that is just like the Britain's Union flag, but with a crown in the middle. The lower part has wavy blue and white lines which are because BC is between the Pacific ocean and the Rocky mountains. 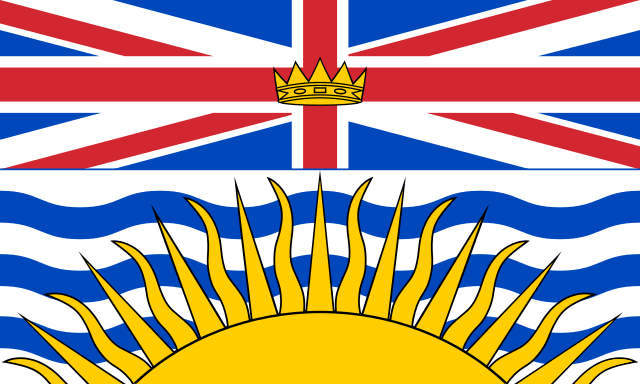 There is a sun with rays on the bottom half of the flag, and this is because the sun sets in the west, and BC is the province farthest to the west. The coat of arms of BC is the Queen's royal crest on it, and a shield that looks like the province flag. There is an elk on one side and a sheep on the other. The motto of BC is "Splendor Sine Occasu" which is Latin and means the sun will never set on the British Empire. The largest city in BC is Vancouver. It is right on the water on the west coast. Vancouver Island is the largest island on the west coast of North America. 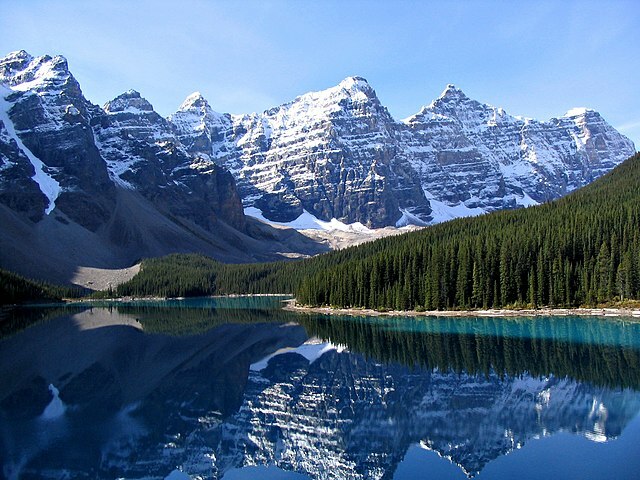 The Rocky Mountains go through BC, and there are beautiful places like Banff National Park.